Explore the winding roads from Stellenbosch Winelands to Hermanus – considered to be the best land-based whale watching spot in the world – to visit the most southern point of Africa, Cape Agulhas Set against a backdrop of awe-inspiring scenic wonders, blessed with abundant wildlife and pristine sandy beaches. Morning pick-up in Cape Town or Stellenbosch. 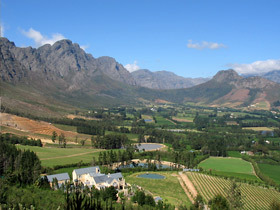 Discover the roads between the Cape Winelands toward the tranquil Overberg region. 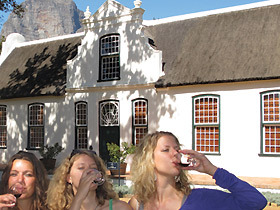 Sample some of the best wines in the Stellenbosch and Paarl wine region, pairing them with cheese and even chocolates at various wine estates. Explore the charming streets of Franschhoek, dotted with restaurants, cafés, galleries and quaint shops. Travel to the southern-most tip of Africa at Cape Agulhas – where the Indian and Atlantic oceans meet. 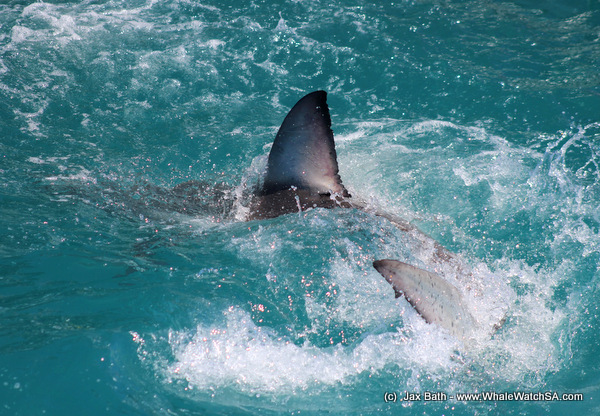 The brave at heart can rise early to go for an optional shark cage dive with Great White sharks in the waters between Gansbaai and Dyer Island, known as “Shark Alley” OR choose to board an Eco Cruise for a chance to view some of the Marine Big Five – including Great Whites, Cape fur seals, African penguins, dolphins and whales during whale season OR, those who want a later start will enjoy beer tasting at a local craft brewery. 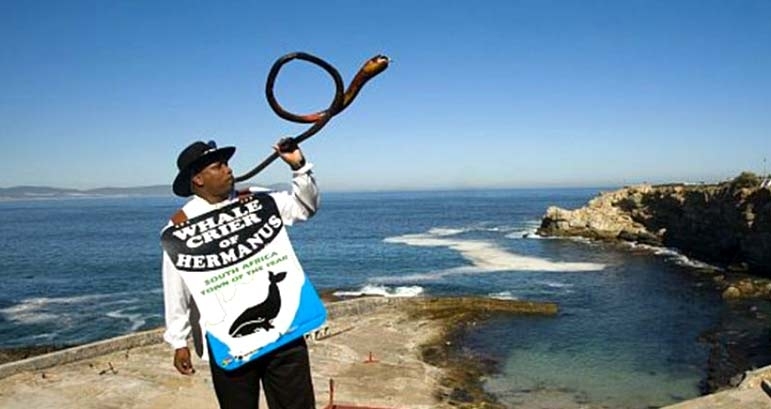 Explore Hermanus at leisure – a laid-back coastal town, known around the world for its spectacular land-based whale watching (Jun-Nov). Be fascinated by the lovable and simply delightful penguins at Stony Point Reserve in Betty’s Bay. 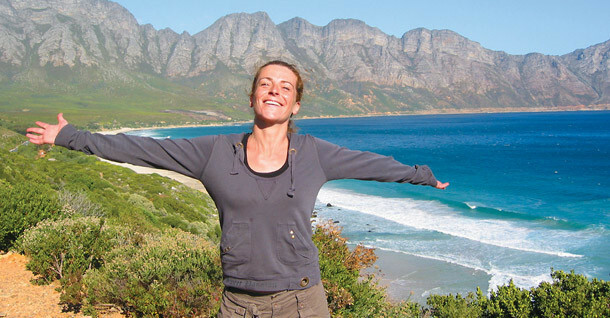 Take the scenic coastal route along Clarence Drive to reach Cape Town by late afternoon. – The exact itinerary is subject to change and may, on occasion run in different order. – DOUBLE or TWIN room packages are priced per person sharing (pps) and require 2 persons to book at the same time for the same tour. 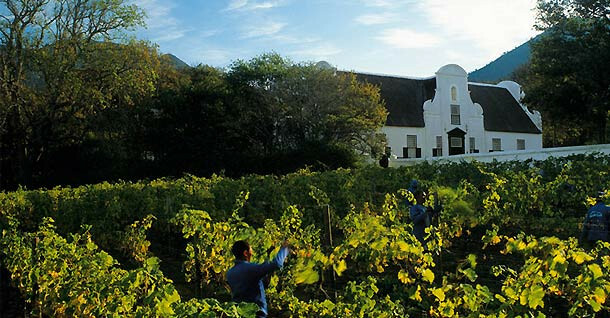 Visit wine estates of the region to sample some of the local produce – paired with cheese and chocolate. 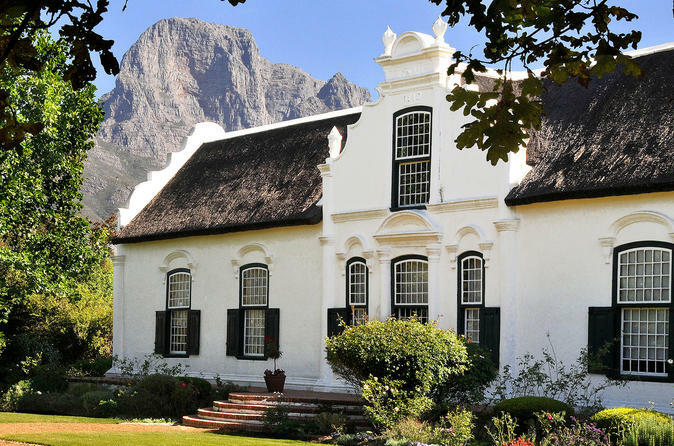 Prepared to be wowed by dramatic backdrops of grand Cape Dutch homesteads encircled by vineyards and cradled by soaring mountains. Tickle your tastebuds at the gourmet capital of South Africa, a petite town with Huguenot origins. Take the road less travelled to the official meeting place of the Indian and Atlantic oceans and visit the the southernmost tip of Africa. 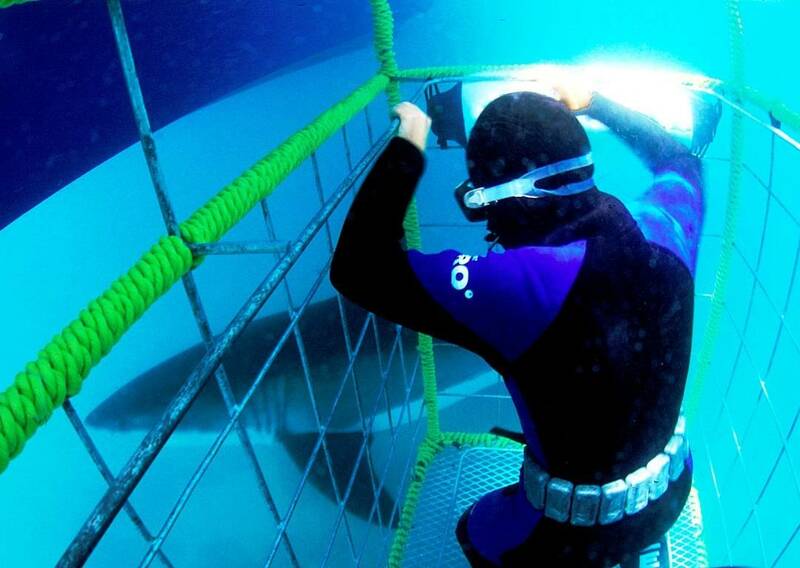 The brave at heart rise early to go cage diving with Great White sharks in the waters between Gansbaai and Dyer Island, known simply as “Shark Alley”. Once the sharks are circling the boat, you can hop into a floating cage to get within centimeters of 16 rows of sharp teeth. It’s an adrenaline rush that will be difficult to forget. 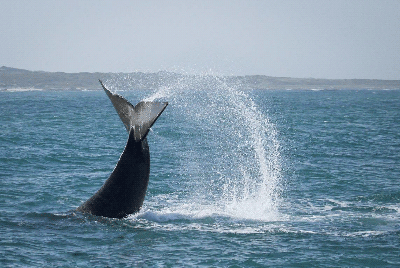 Board an Eco Cruise for a chance to view some of the Marine Big Five – including Great Whites, Cape fur seals, African penguins, dolphins, and whales during whale season (Jun-Nov).